My Top Penn: Star of Wonder – A Year of Penn Research. Since it is that time of year – a time of wonder and joy, a time of hope and miracles – I wanted to highlight some of the wonderful research and symposia that the University of Pennsylvania has shared with the world this year. During this time, I wish you and your loved ones a wonderful holiday season and fantastic 2013. Penn Medicine research that was presented at the 2012 Alzheimer’s Association International Conference (AAIC) shows that an anti-tau treatment called epithilone D (EpoD) was effective in preventing and intervening the progress of Alzheimer’s disease in animal models, improving neuron function and cognition, as well as decreasing tau pathology. For more information, please read the Penn News press release. First Lady Michelle Obama and Dr. Jill Biden visited Penn Nursing this April for “Nursing, Veterans, and PTSD,” part of a national program charging nurses to identify, treat, and conduct research on post-traumatic stress disorder (PTSD). They announced a major initiative by more than 150 of America’s leading nursing organizations and more than 450 nursing schools to ensure our nation’s nurses are prepared to help meet the unique health needs of service members, veterans, and their families. Attention to PTSD is a significant component of Joining Forces, the First Lady and Dr. Biden’s project created to champion wellness, education, and employment among military service members and their families. PTSD is a serious and widespread anxiety disorder affecting veterans, and the symptoms can be terrifying. Melissa Hunt, the associate director of the clinical training program in the School of Arts and Sciences’ Department of Psychology at the University of Pennsylvania, has long been interested in this dynamic as it relates to people and their pets. But a chance encounter propelled her to study it in an extreme case: search-and-rescue dogs and their handlers. “Search-and-rescue dogs are not just pets; they’re partners,” Hunt said, meaning this dynamic is even stronger — and the stakes even higher — for people who work with animals. For more information about Melissa Hunt’s research, please read the Penn News press release. Research from the Perelman School of Medicine at the University of Pennsylvania, the University of Washington Medical Center, and the University of Pittsburgh School of Medicine, indicates that radial radial artery catheterization may offer a significant cost savings benefit to hospitals. The findings are published online first in Circulation: Cardiovascular Quality and Outcomes. 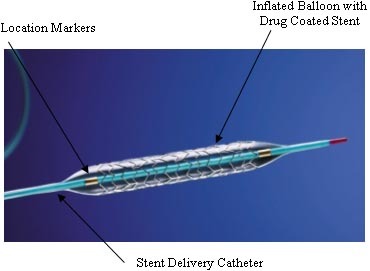 An example of a stent (image courtesy of Wikipedia). For more information about the findings, visit Penn Medicine’s press release. In addition to the Smilow Center, the Smilow’s gift also establishes the William Smilow Professorship in the field of cardiovascular medicine and the William Smilow Award for Innovation in Clinical Excellence. The exact amount remains undisclosed. For more information, click here to view the full release. Penn researchers reported in The Lancet that lomitapide, a first-in-class microsomal triglyceride transfer protein (MTP) inhibitor, substantially and stably reduced LDL cholesterol (the “bad” cholesterol) in patients with the orphan disease homozygous familial hypercholesterolemia (HoFH). Lomitapide works by inhibiting MTP, which is required for the production of VLDL — the precursor to LDL. 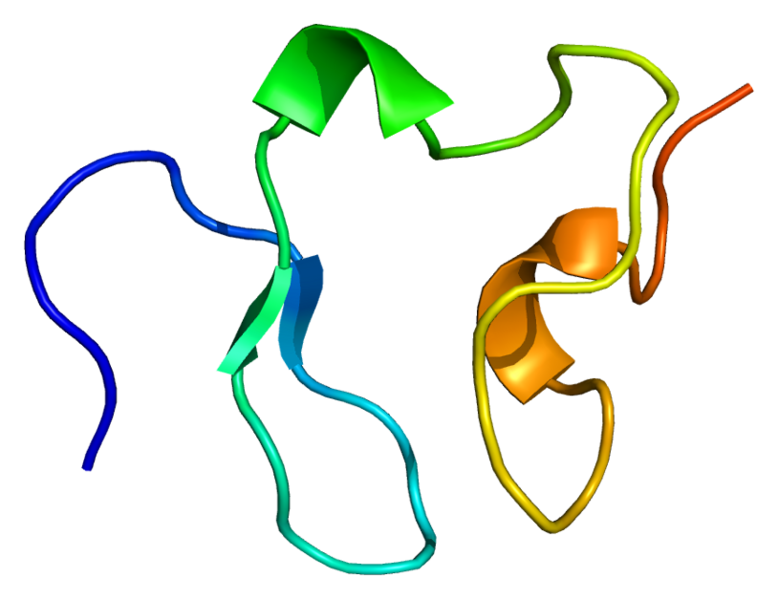 A rendering of a Low-Density Lipoprotein (LDL) receptor (image courtesy of Wikipedia). For more on homozygous familial hypercholesterolemia and lomitapide, visit the full press release. The Netter Centercelebrated its anniversary in November by hosting an international two-day conference examining perspectives on higher education, community development and community health partnerships. The conference theme was “The Role of Higher Education-Community-School Partnerships in Creating Democratic Communities Locally, Nationally and Globally.” It featured various thematic panels on such topics as education, poverty, health promotion, community engagement and university assisted community schools presented by university presidents, educators, administrators and professionals from across the country. The event capped off its first night with keynote speaker Randi Weingarten, the president of the American Federation of Teachers and former president of the United Federation of Teachers. Remarks throughout the conference were given by Dr. Rebecca Bushnell, Dean of the School of Arts & Sciences; Craig Carnaroli, Executive Vice President; and Jeffrey Cooper, Vice President, Office of Government and Community Affairs. The communities of West and South Ambler are working to recover from the ramifications of their town’s long-closed asbestos factory. Residents in these communities remain at risk of environmental exposure and a potentially increased risk of developing mesothelioma, a rare cancer which is caused almost exclusively by exposure to asbestos. Researchers at the Center of Excellence in Environmental Toxicology (CEET), Perelman School of Medicine, University of Pennsylvania, have been awarded a $1.2 million grant to develop an educational program using the communities’ history of asbestos products manufacturing and resulting asbestos exposure. Funding for the program is provided by the Science Education Partnership Award (SEPA), which is administered by the National Institutes of Health (NIH). For more on the asbestos cleanup, read the Penn News press release. The clinical trial participants, all of whom had advanced cancers, included 10 adult patients with chronic lymphocytic leukemia treated at the Hospital of the University of Pennsylvania (HUP) and two children with acute lymphoblastic leukemia treated at the Children’s Hospital of Philadelphia. Two of the first three patients treated with the protocol at HUP – whose cases were detailed in the New England Journal of Medicine and Science Translational Medicine in August 2011 – remain healthy and in full remissions more than two years after their treatment, with the engineered cells still circulating in their bodies. The findings reveal the first successful and sustained demonstration of the use of gene transfer therapy to turn the body’s own immune cells into weapons aimed at cancerous tumors. 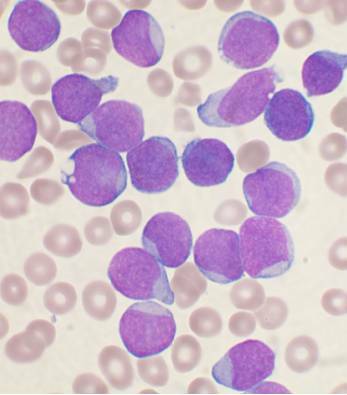 A bone marrow smear from a patient with precursor B-cell acute lymphoblastic leukemia. (image courtesy of Wikipedia). For more details, please visit the following link. The 1,000th patient received the transplant on Sunday, December 2, 2012 and is doing well. Celebrating its 25th Anniversary, the Penn Medicine heart transplant program, part of the Penn Transplant Institute’s multi-organ transplant center at HUP, has been at the forefront of medical care and clinical advances in the area of heart failure and heart transplantation, including offering multiple organ transplantation – such as heart-lung and heart-liver transplants. The program performs more adult heart transplants per year than all other Philadelphia area hospitals combined, making it one of the top three heart transplantation programs in the nation. For more information about this remarkable milestone, please see Penn Medicine’s full press release.